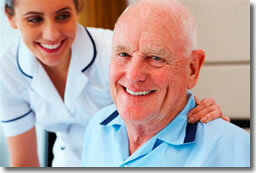 No Other Senior Care Franchise Does This! Having been created as the newest division of one of America's leading integrated healthcare services provider with over 30 years of franchising expertise, CareBuilders at Home has now begun its national development by offering the only homecare franchise in the country in which the franchisor is the direct employer of the franchisee's caregivers. CareBuilders at Home is a private duty homecare franchise providing services to the elderly and others who require assistance with their daily living needs. Our parent company, ATC Healthcare Services, has been providing home healthcare and medical staffing services nationwide since 1982. By our assuming all employer responsibilities for your direct care staff and providing complete back office services – including payroll funding and processing as well as billing, credit, and collections – you are able to focus on growing your business while we do all the rest. No other senior care franchise does this! Our business model also provides for exclusive territories of up to 35,000 in senior population (the largest in the industry) and a partnership with a team of industry experts providing each office with state-of-the-art online marketing solutions that drive business referrals to their local web sites and enhance caregiver recruitment. CareBuilders at Home is a business opportunity with a comprehensive support system that is unlike anything else in its industry. If you possess strong sales, marketing, communication, and management skills and have a passion for helping people, or, if you've been exploring other senior care franchises and haven't yet found the right match, we urge you to contact us, and look forward to hearing from you. Click on Request Information for FREE info on how to open a CareBuilders at Home franchise today! Please Note: This CareBuilders at Home franchise opportunity and other franchise business opportunities, businesses and franchises for sale on this web site are not to be considered as an "offering", "franchise offering", suggestion or recommendation by Franchise Leader™. This advertisement depends entirely on the truthfulness of the information provided by our advertisers which includes, but is not limited to, franchisers, franchise brokers, franchise consultants and business brokers. Franchise Leader™ recommends that you consult a lawyer, financial consultant, accountant or professional advisor before buying a franchise or business opportunity or any type of business. By using this form or any part of our website, you have agreed to all terms and conditions of Franchise Leader™. Please review our Terms & Conditions for more information.